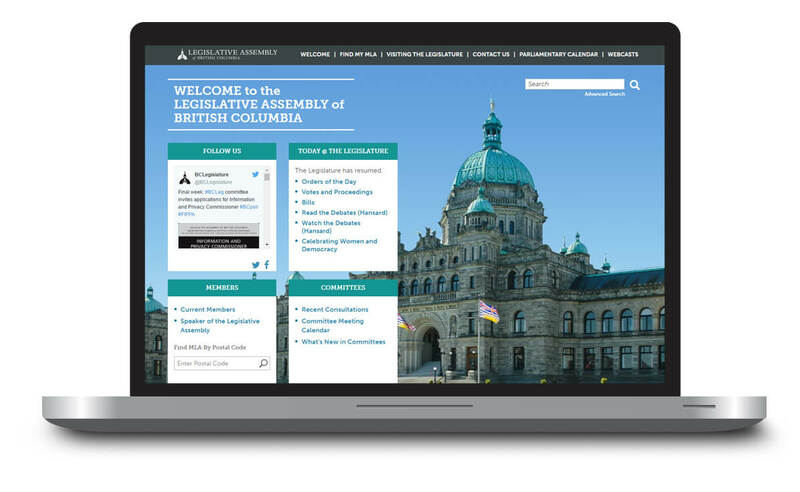 The Legislative Assembly of British Columbia wanted to update their legacy website with a much more current design, but also a vastly overhauled user experience. I was hired by Stephanie Hayes to implement the graphic design working from her UX plans. 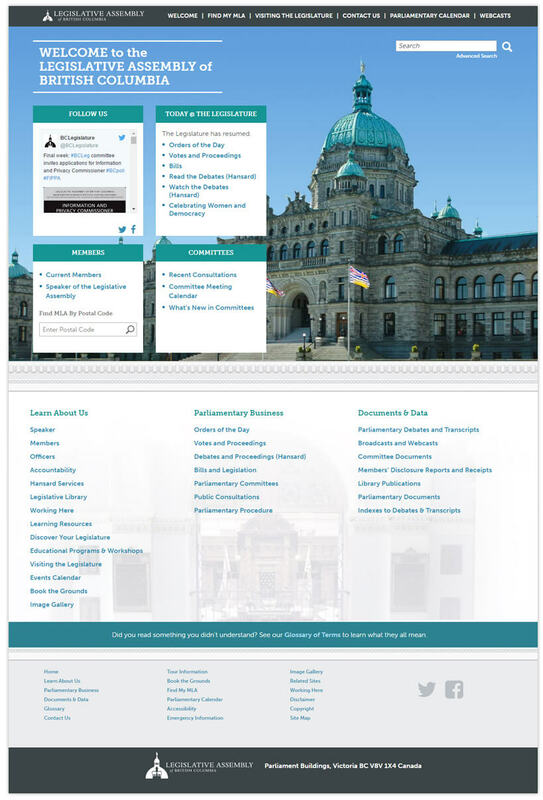 The Legislative Assembly website before and after. We conducted a series of design workshops with major stakeholder groups in order to gather feedback on perceptions of staff and visitors. 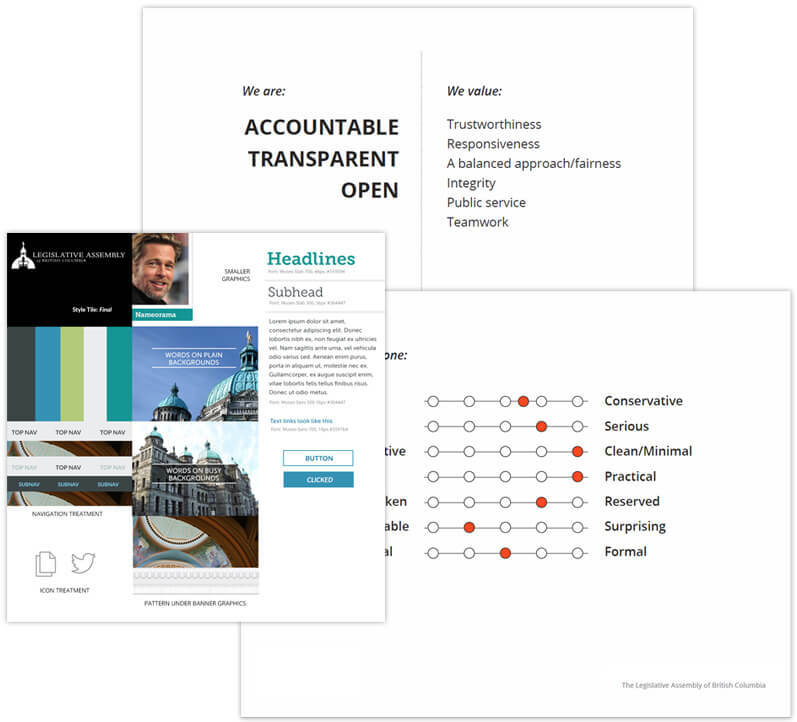 A goal of The Legislative Assembly was to change the public perception of a closed, mysterious institution to one of an innovative, open, connected part of the provincial community. At the same time, it was important to respect history and tradition. Post-interviews, I created a Design Roadmap to ensure all parties were on the same page from a branding, overall style, and design perspective. Final design mockups, patterns, and a written style guide were provided to itgroove, who implemented and added to my design work to produce a well-constructed, responsive site. 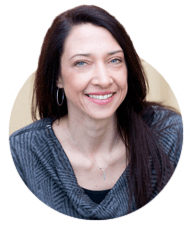 For almost 18 years, Linsey has been my top choice as a creative partner. When I needed design help with The Legislative Assembly website, she was my first call. I recommend her to anyone who needs help bringing their brand to life.